Office Space - Mecca, . 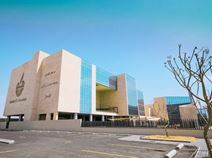 Situated right by the Jeddah-Makkah Expressway, Makkahs rich background and commercial district is only 20 minutes from these business premises, situated in an imposing building. With 24 hour access, you can work through late hours with beverages on-site so you can recharge and work comfortably. In addition, there is shared internet provided, as well as telecoms throughout the site. This is sought-after site owing to its marvelous location, with high accessibility and prestigious reputation.